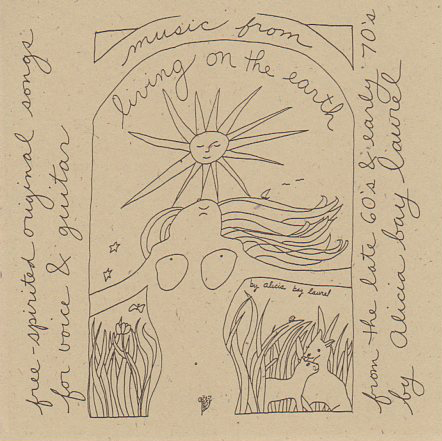 Posted on May 29, 2007 by Alicia Bay Laurel	in Blog and tagged travel diaries. On Monday, April 30th, I again began my day with a dawn walk up the road from camp. 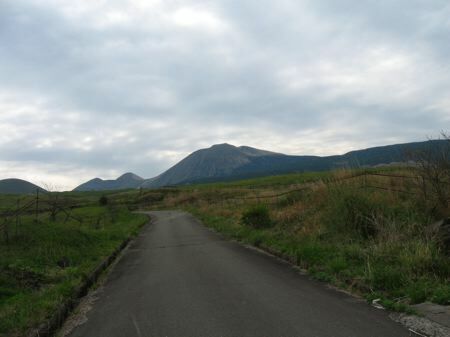 Clouds were gathering around Aso Mountain for a big rain, but it politely waited until after my walk. 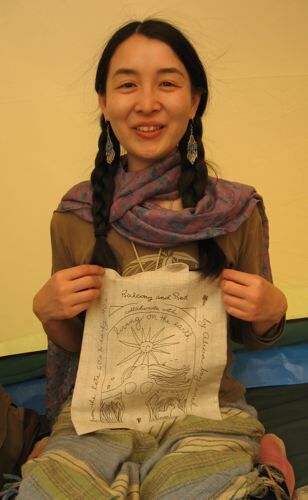 When I came back to camp, I presented Mikiko with two gifts, a silk scarf made from a vintage sari (bought at the Adams Avenue Festival) and a linen purse made by Aya Noguchi. 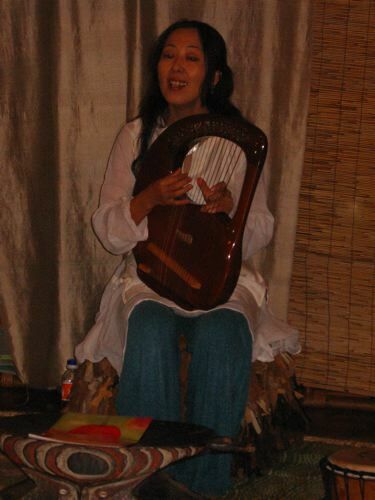 Then Sachiho and I, with a new friend, a beautiful young koto player named Kanako, driving, left for Kumamoto town to do a workshop and concert in the yoga studio above Shoko Akashi’s elegant natural fiber clothing and metaphysical gift store, Loveland. Here Shoko warmly welcomes us to her store. 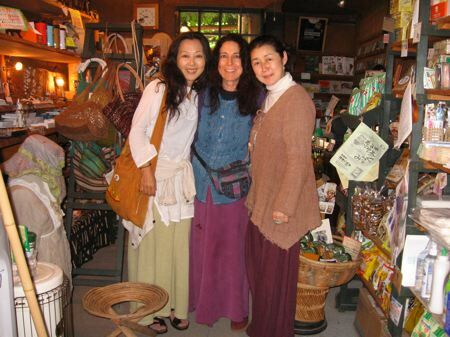 Shoko owns three stores in Kumamoto; the other two being Earth Collector and Fair Trade Student Cafe Hachidori. 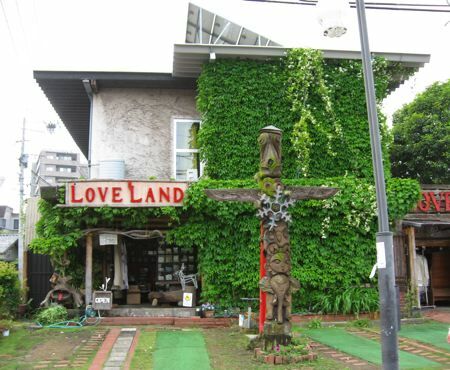 The beautiful exterior of the store, with solar panels on the roof and a totem pole in front. 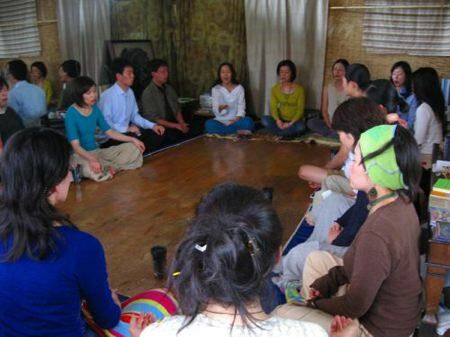 First Sachiho lead a meditation class. 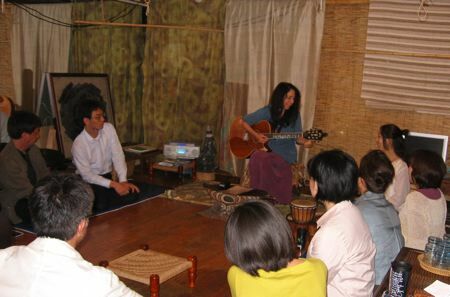 After a break for tea and snacks, Sachiho did a solo performance, playing her lyre and singing sacred songs. After Sachiho’s concert, I played some of my songs, and, at the end of my set, we played and sang some songs together. After our show, we drove to a hotel that housed a hot springs spa to bathe and relax. 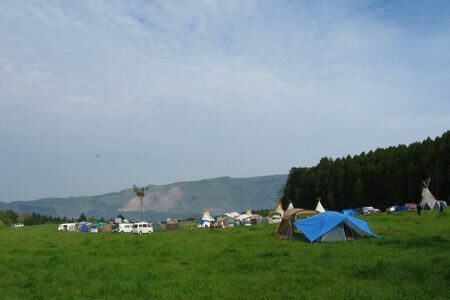 Before our baths, we had dinner with three members of our audience – a Zen monk and his mother and sister.